As a part of the National Rural Letter Carrier Association (NRLCA), you are one of the select carriers serving more than 40 million people across rural America. Out on the open road, you brave inclement weather, adverse road conditions, and protective canines all to deliver letters and other parcels to those in rural and suburban areas. For all that you do, we believe you deserve First-Class insurance. That’s why the NRLCA Insurance Marketplace brings you the NRLCA Vehicle Insurance Plan, a policy tailored to route vehicle drivers like you. Whether you drive once a week or daily, our aim is to equip you with specialized insurance coverage that will help protect you and those around you, both on and off the route. But that’s only the beginning. As a division of National General – the only company endorsed by the NRLCA for more than 65 years – our organization has a history of providing all forms of insurance to carriers and their families including auto insurance, home insurance, motorcycle insurance, and more. Call to find out more about what we can offer you! Will the Tort Claims Act protect the Rural Letter Carrier from liability in the event of an on-route accident? Yes. Federal employees are protected against liability resulting from their operation of a motor vehicle while within the scope of their official employment. This protection is on-route protection only. Any deviation from your assigned route could jeopardize your Tort Claims coverage. The government protects you from liability only; damage to your vehicle is not covered. To fully protect your vehicle, separate coverage must be purchased. What should the Rural Letter Carrier do in the event of an on-route accident? All accidents must be reported to your Postmaster or Supervisor and to your insurance company as soon as possible. Failure to report an accident could jeopardize your coverage. Does the Postmaster have the authority to deny protection under the Tort Claims Act, or to deny a claim? No. All Tort Claim denials must come from the U.S. Postal Services Legal Department. How can I find out more about the Rural Letter Carriers' Vehicle Insurance Program? It’s easy. Just call toll free: 844-273-4201 for complete details and rates. On of the friendly RLC Program Insurance Professionals will be happy to answer all of your questions. The Federal Tort Claims Act of 1961 is a federal statute that provides for a government administered protection plan for all government employees, and the government itself, should any liability be incurred by any of its employees or agents in the course of their official duties. Will the Rural Letter Carriers' Vehicle Insurance Plan also protect the Rural Carrier from liability while on the route? Yes and more. The RLC Vehicle Insurance Program provides complete coverage for Rural Carriers insured through the plan - on and off the route. And if the government ever denies your on-route liability claim under the Tort Claims Act, the RLC Vehicle Insurance Program will work with you and the Postal Service to make sure you are protected. What happens when an on-route liability claim is reported to the Rural Letter Carriers’ Vehicle Insurance Program? 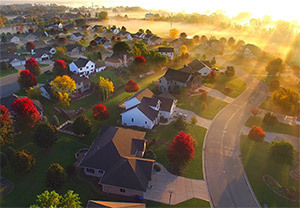 If you are insured through the Rural Letter Carriers' Program, the other party will be immediately notified that their claim should first be presented to the Postmaster for payment under the Tort Claims Act. If the government denies the claim because you deviated from your route, don’t worry - your RLC Program will protect you. Will any insurance company protect the Rural Letter Carrier if the government denies an on-route liability claim? Not necessarily. Many companies simply won’t insure your route vehicle, and if they do, they charge you a higher business use or commercial use rate. Also, many agents don’t seem to fully understand the Federal Tort Claims Act and the needs of government employees. That’s why the National Rural Letter Carriers’ Association recommends the RLC Vehicle Insurance Program - the same people who have looked after the special needs and interests of Rural Carriers since 1953. First of all, RLC Vehicle Insurance Plan representatives understand the government’s tort liability procedures. So by placing a special exclusion on your RLC Program policy, you can be offered a lower pleasure use or route car rate on your auto insurance. I’m a contract mail carrier; can you insure me? Yes. Though contract mail carriers are not covered under the federal tort claims act, we have special commercial policies available. Please note, if you are a contract mail carrier, you will have to speak to one of our licensed agents.